It is no surprise that Kodi Smit-McPhee has been pulling stunning performances with most of his roles. Born into a family that is making waves as actors, McPhee followed the trend and became one of the revered kid actors in Hollywood. His role as Nightcrawler in the X-men series, X-Men: Apocalypse (2016), was one of his biggest roles but before then, the young actor established his presence with his debut role in My Father. His success has been rewarded with a number of accolades. Kodi Smit-McPhee was born on the 13th of June 1996, in Adelaide, South Australia to Andy McPhee and Sonja McPhee. His father worked as an actor and wrestler, however, the occupation of his mother is unknown. McPhee is Australian but is of English, Dutch and Scottish ancestry. It isn’t known to the public details of Kodi Smit-McPhee’s educational background. The McPhee’s family have one way the other been paving waves in the entertainment industry. The patriarch of their home, Andy McPhee made ends meet as a professional actor and wrestler. Like his son, he was born in Adelaide, South Australia. The birth date of the family’s patriarch isn’t clear to the public, however, from his looks, it is clear that Andy is no spring chicken. 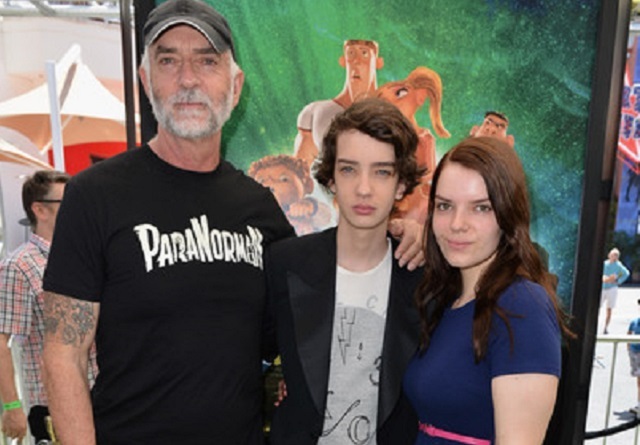 Kodi Smit-McPhee’s father is popular for his roles in movies like The Condemned (2007), The Road (2009) and Wolf Creek (2005). He also appeared in drama series like Rome, Opalville and Criminal Minds. According to some sources, the actor is said to have started out his career as a model. Smit-McPhee has one sibling known as Sianoa Smit-McPhee. However, she is popularly known as Siona. She is an Australian singer, songwriter, and actress. Her passion for entertainment began when she was a kid and at the age of three, she had already begun pursuing her passion. Siona is older than Smit with about four years and according to Kodi, she has been her role model. She is popularly known for her roles in films like Neighbours, As The Bell Rings, Hugo, Hung, Firelight and It’s Always Sunny in Philadephia. Kodi’s sister is married to music producer, John Rush and has done a few works with him. The couple joined forces to write and producer her song, Take a Bite of My Heart. From Andy’s relationship with other women, he has five other children, thus, Kodi has 5 step-siblings, however, details about them are not known to the media. See Also: Robert Pattinson – Bio, Is He Dating a Girlfriend or Married to a Wife? Kodi Smit-McPhee’s mother Sonja McPhee is another part of the family that prefers to remain behind-the-scenes. Andy in his interview with The Advertiser talked about her doing well in her motherly duties. She seems to be the perfect behind-the-scenes cheerleader for the McPhee family. her performing her motherly duties. It is quite obvious that Kodi McPhee-Smit’s interest with acting was spurred up after he watched his father and sister prove their acting prowess on set. He had already learned the tricks behind acting and by the time he landed his first role in the film, My Father, he bagged the 2007 AFI Award for Best Young Actor and was also nominated for the award of Best Actor. His next movie, The Road gave him the Critics’ Choice Award nomination for Best Young Actor and subsequently in 2010, he was nominated for the Best International Actor; Australian Film Institute (AFI). In 2011, Kodi Smit-McPhee proved his acting prowess in Let Me In and also received the 2010 Critics Choice Award nomination for Best Young Actor for the film. Then, he starred in The Congress. 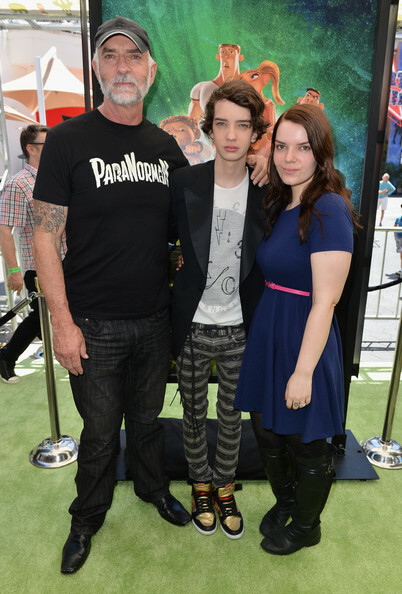 Kodi Smit-McPhee appeared in ParaNorman in 2012 where he voiced the lead role as Norman. Like other of his featured movies, the movie was nominated for the Best Animated Feature for 2013 Oscar Award and BAFTA Award nomination for Best Animated Film. In that same year, McPhee made a stunning appearance in Dead Europe and subsequently starred in A Birder’s Guide to Everything. He also greatly impressed in the film adaptation of Romeo and Juliet; Benvolio. He co-starred alongside Andy Serkis, Toby Kebbell, Tery Notary, Karin Konoval and others in the film, Dawn of the Planet of the Apes. Kodi SMi-McPhee played a role in the action sci-fi film Young ones and appeared as Jay Cavendish in Slow West. He was part of the cast in the 2015 drama series, Gallipoli and was Nightcrawler in X-Men: Apocalypse (2016). He played as Keda in Alpha (2018) and continues to build his filmography.